We have been guiding Tactical Boar Hunts since 2009. The Southern Hog Control guides are experienced hunters with a 99% success rate on two-night hunts and are the only company in Georgia to offer NO LIMITS on the amount of hogs harvested each night! You can book your hunt online HERE! We want to assist you in the elimination of your feral hog problem. Please use the on-line form to request our services or information. Southern Hog Control looks forward to hearing from you. Browse our on-line store for your equipment needs. We carry JAGER M.I.N.E. 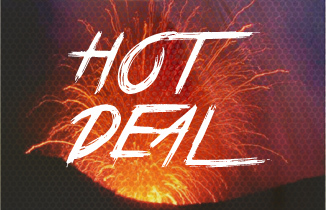 traps & accesories as well as Armasight, FLIR, Pulsar & Trijicon thermal/night vision devices that are available for your purchase. 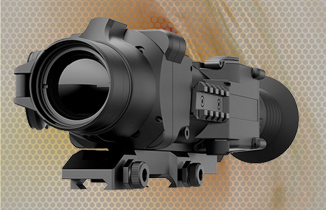 Pre-purchase information is proved to assist your selection of a thermal/night vision device to purchase. This includes things to consider, FAQ's, glossary of terms, warranty, returns, & export resrictions. We primarily service private, state and federal hog removal contracts by employing the JAGER M.I.N.E. Feral Hog Trap System. 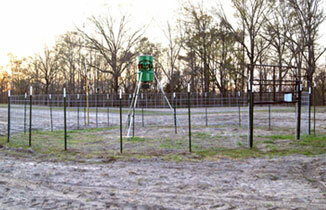 This high volume pest control technique is the most efficient method to capture entire sounder groups at baited hog trap enclosures. Our goal is to market the best hog control equipment and techniques to farmers, wildlife managers, wildlife control operators, hunters, trappers and wildlife professionals in order to better manage nuisance hog populations in the State of Georgia and the United States. The list below highlights information to assist you in the descion making procees to purchase hog traps, trapping services and/or night vision/thermal devices that best fits your needs. The Zeus 640 3-24x75 mm has a 640x512 Focal Plane Array and a 17 Micron pixel size giving this scope a very high resolution in a 30 Hz FLIR Tau 2 VOx detector. The Apex XQ50 384x288 (50Hz) has a 640x480 pixel LCD display with a 384x288 pixel Microbolometer sensor. 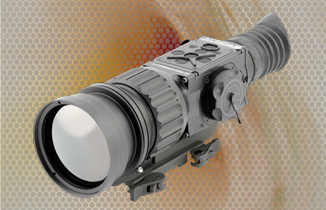 The REAP-IR 2.5x (35mm) has 2.5x magnification combined a 640 X 480 resolution and 12um micron LWIR thermal core. These panels are eight feet long, 68 inches high and welded on galvanized one-inch steel stock. The enclosure can be erected by one person in 30 minutes or less. The 18-60 panel is 16 feet long with 18 horizontal bars reaching 60 inches in height. 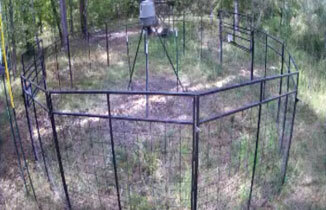 This panel is the most cost effective design on the market to retain juvenile and adult wild hogs.